I can't believe everything is over now. I worked for (almost) one whole year as a volunteer at a school and today summer break begins and I'm free! The job wasn't easy and I hated it many times but now that it's over I'm also sad. I made new friends and I got to now the pupils better and better and I liked them even though they were some bunch of rude and annoying kids. But this is not what this post is about. It's all about Craving. MAC's Craving! I decided to do some reviews of some of my high end and my recently bought products. This is also the first post from my new laptop! Eek! Exciting!!! 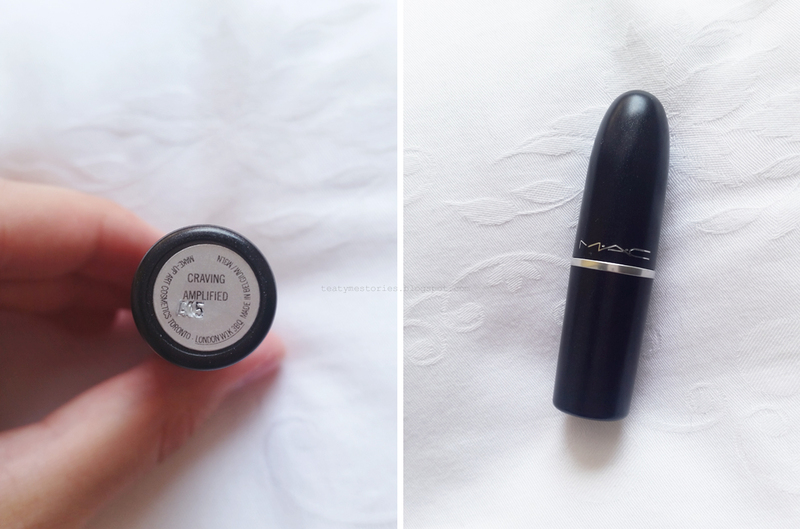 I laid eyes on this (and some other) MAC lipsticks a few months ago but I wasn't really sure what colour exactly I wanted. There are so many colours that look very similar to Craving but have another finish or another undertone maybe. I always struggle to make out colour's undertones though haha. In the end I decided to buy Craving without really thinking about it and I don't regret it! I usually wear very bright colours for example bright reds like Russian Red. 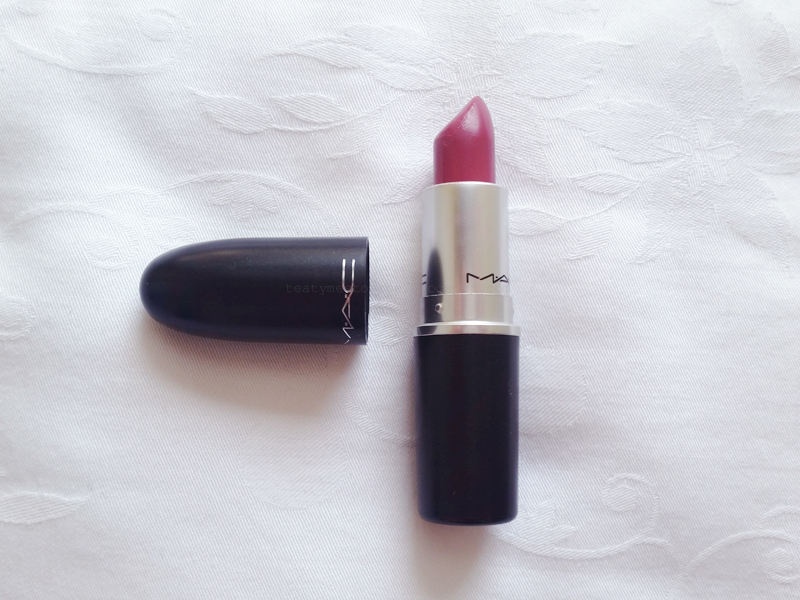 Craving is a kinda plummy pink, MAC describes it as a "burst of plum". It is a rather light plum tone, though, compared to Rebel. Its finish is Amplified. This is my first Amplified lipstick (I only own two matte MAC lipsticks). 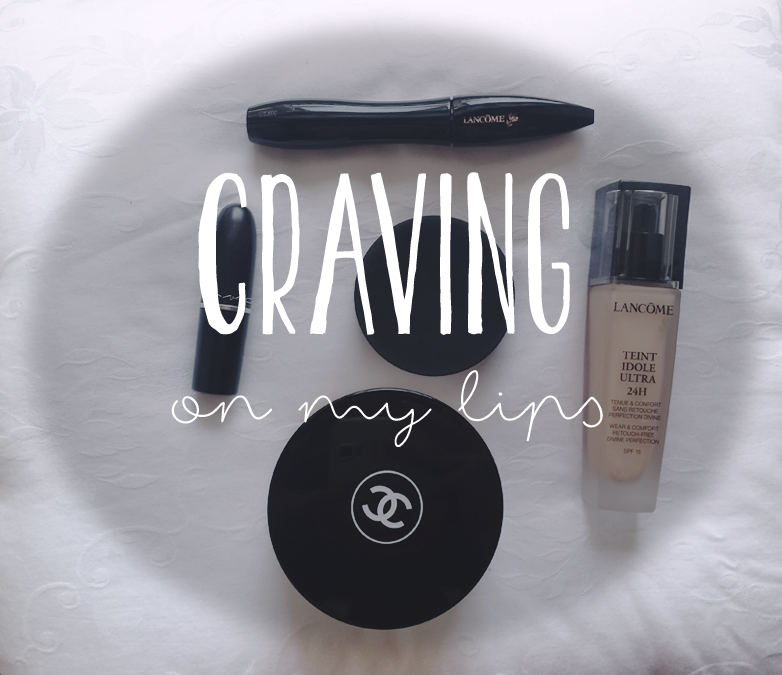 It is creamy and doesn't dry out your lips, which I love. The pigmentation is also very nice when applied. It doesn't last as long as matte lipsticks but it still lasts pretty long. 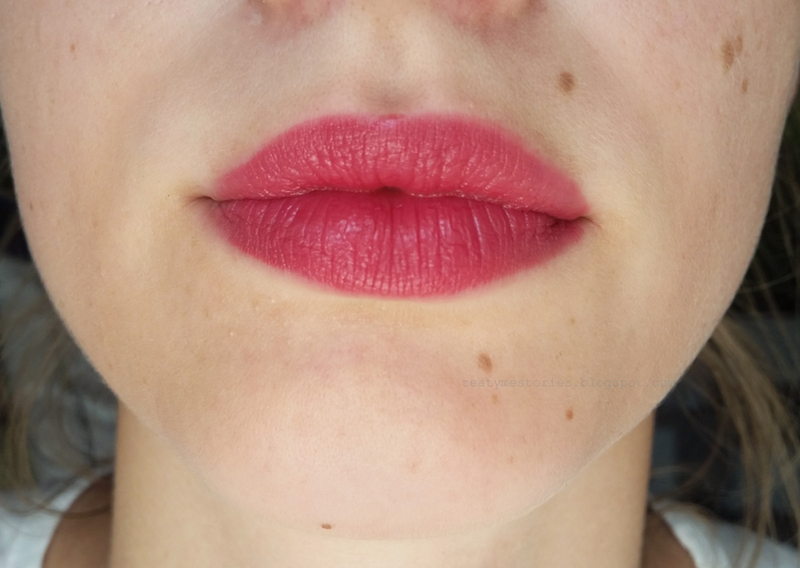 If you exfoliate your lips well beforehand and use a good primer and lip liner it will last and since it also hydrates your lips a little it is easily reapplied and doesn't feel weird after some time. No chapped lips! YAY. What a beautiful colour! It's a shame it doesn't last as long as the mattes but either way, glad it's still pretty long lasting! I love how the colour is not as bold as a red, but almost at that level (if you know what I mean?!)! Yeah it would be great if it lasted longer but I really like its finish. 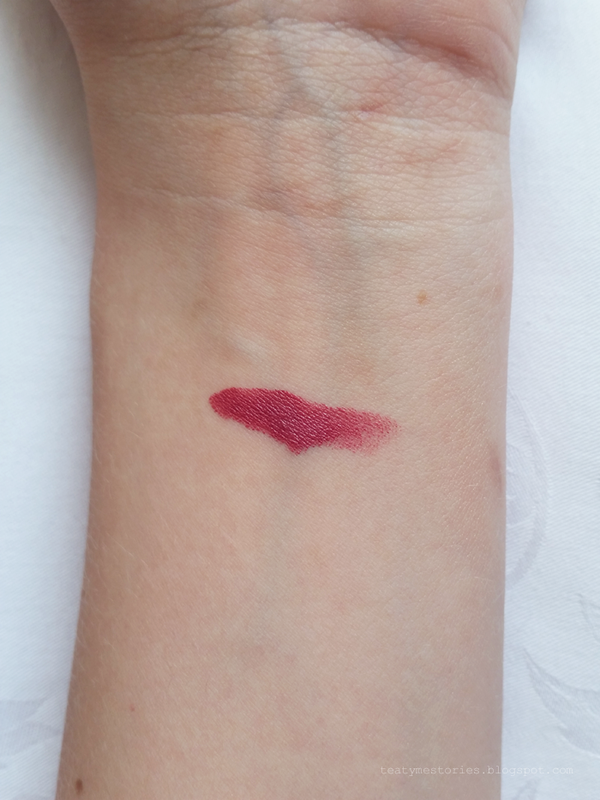 Gorgeous colour, I wish I could afford to get some more Mac lipsticks! This one look so lovely! Yeah I know what you mean! I would love to have more Mac lipsticks too! What a gorgeous shade, it looks beautiful on you!